If you are suffering from poor sinus drainage you should seek the expertise of a trained and certified Los Angeles ENT Doctor to determine if you are a candidate for an in-office Los Angeles balloon sinus dilation procedure. If antibiotics, over-the-counter decongestants and nasal steroids have not helped in alleviating your condition, than a Los Angeles balloon sinus dilation treatment may be the next logical step. Beverly Hills Sinus Center in Los Angeles, CA has highly skilled Ear, Nose and Throat specialists that can provide you with the best state-of-the-art and compassionate care. At Beverly Hills Sinus Center, patients are never over-treated for their condition. At Beverly Hills Sinus Center, patients are never over-treated. We take a stepwise approach to treatment. Meaning, for some patients there may not be a need for surgery to find relief. When medications have failed, aA simple in-office Los Angeles balloon sinus dilation procedure may be the solution you’ve been seeking all along. Until fairly recently, those that suffered from recurrent or chronic sinusitis were treated first with medical therapy and then with endoscopic sinus surgery if that treatment failed. 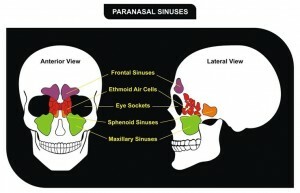 Fortunately, for some select patients that suffer from sinusitis, there is a newer and less invasive way to find relief. Our in-office Los Angeles balloon sinus dilation procedure is minimally invasive and is performed under local anesthesia at our office in Beverly Hills, Los Angeles, CA and can deliver both immediate and long-lasting relief in those appropriate patients. In certain patients with chronic sinusitis, an in office procedure known as balloon sinus dilation may be an effective treatment to alleviate symptoms and improve quality of life. The advantages of balloon sinus dilation is that it can be done in the office without general anesthesia, and patients can return to normal life immediately afterwards. The procedure is very well tolerated and is FDA approved as a treatment for chronic sinusitis. This technique involves inserting a thin and pliable guide wire through the blocked natural ostium (drainage path) of the affected sinus. A balloon is threaded over the guidewire and inflated, dilating the natural ostium. As a result, the sinus can now normally ventilate and circulate mucus, leading to decreased inflammation and the expelling of infection. However, patients with chronic sinusitis affecting all of the sinuses or nasal polyps are usually not good candidates for this procedure. Contact our Beverly Hills Ear, Nose and Throat Doctor TODAY!